McElroy Consulting & Litigation Services (“McLS”) is a consulting firm that provides consulting services, expert witness testimony, and litigation support to financial institutions, attorneys, and other clients throughout the United States. 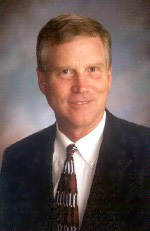 Pat McElroy, Jr. has more than 40 years of experience in the banking industry. He began his banking career as an examiner with the Federal Reserve Bank of Dallas and later worked for three different banks in various lending and managerial capacities. In 1989, Mr. McElroy founded Biltmore Management Group, a full-service financial institution consulting firm. For 13 years, the firm provided various consulting services to financial institutions throughout the United States. Mr. McElroy sold the firm to a national consulting firm in 2003. In 2007, Mr. McElroy organized Risk Management Partners, LLC. The firm provides various risk management consulting services to financial institutions in several states. Mr. McElroy serves as the company's President and is very active in providing consulting services to the firm's clients. Mr. McElroy is a frequent speaker at banking industry conferences and seminars throughout the United States. He has worked as an instructor and course developer for the Bank Administration Institute of Chicago and several other industry organizations. In addition, he has written numerous articles covering various aspects of banking which have been published in banking magazines throughout the country. Mr. McElroy has also been quoted as a banking industry expert in various newspapers and magazines. Mr. McElroy is frequently called to provide expert witness testimony in criminal and civil trials involving banking issues.